Are you health conscious? Do you want to exactly know how many calories you burn after every lap that you run? Understanding all your needs Garmin brings a new product, namely "Garmin Forerunner 10 GPS Watch". It is simple, stylish and will add a golden touch to your personality. Why Garmin Forerunner 10 GPS Watch ? 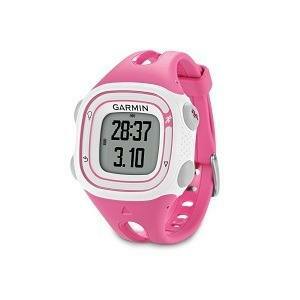 The reason why Garmin Forerunner watch can be your good choice is, this is not expensive product. If your budget is not that much and you are looking for a GPS sports watch the new Garmin Forerunner 10 will be a great choice. It comes in three attractive colors pink (for the girls), green (for unisex) and black ( for males ). The male version of the Forerunner 10 is better for the men. It will suit their personality as it is a bit larger compared to the others. One of the things which you might like is that the Forerunner 10 GPS watch is fully charged in the box. This means the device is ready for use as soon as you unbox it. In the case of charging you won’t be provided with an AC adapter to plug it straight into the wall rather you can use the USB cable provided to charge it. You can also connect it to computers or laptops using the USB cable to charge the device. How to charge the Garmin Forerunner 10? ​This is a very simple device. There is nothing that is complicated. You can charge it easily using your MAC or PC. You will have to clip the charging clip to the back of the Garmin 10 GPS watch and then insert the other end of the cable into a USB port on your computer and it will start charging which you can see on the screen of the watch. The color of the charging cable is white which is like of those which are supplied with the Apple products. The looks of this watch are very stylish. When you are reading review about the Forerunner 10 then must must need to read Garmin Forerunner review. Go here to read ​Garmin watch review. How to Set up Garmin Running Watch ? The starting is very simple. Since it is fully charged in its box, the first thing you need to do is unbox it and put it on your wrist. Then you need to press the start button located on the top right of the watch. The moment you hit the button the Garmin GPS watch will start looking for a satellite. I would recommend you not to do this in your home since to locate satellites it needs a clear view of the sky. WorkoutGadget.com can be best place to find Garmin watch latest review. The first time when you will use Forerunner 10 locating the satellite might take some time, a couple of minutes but from the next time, it won’t take that long. It will be much faster. Once the satellite has been located you press the start button again and start running. Your running data with real time will appear on the screen of the watch. 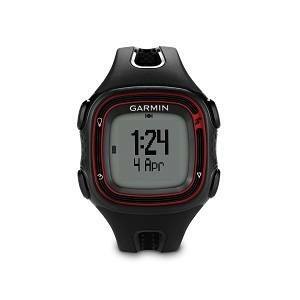 Go here to read Garmin running watch review. It is one of the most exciting features of his watch which will enable you to set targets to beat while running. You can initially set a pace, before running. If your pace decreases while running your Garmin10 will notify you with a beep. Simple, right? This device is user-friendly and has zero complications. The default setting is that of time and distance as most runners need this usually but if you want to change your data setting, all you will have to do is press the button at the bottom left of the Garmin Forerunner 10. Go here to get in depth review. This function will keep motivating you. the default lap distance is one mile. 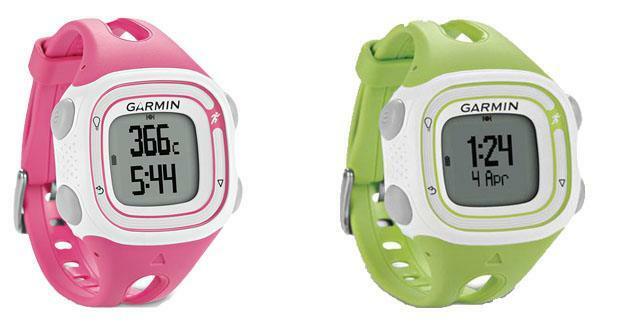 The Garmin 10 GPS watch will beep every time you finish a lap. It is an excellent option which will help to increase your pace and will keep motivating you while running. This function has nothing to do with the area is completely based on the distance. So you can run anywhere you want as long as it is one mile. The Garmin GPS will keep your personal record and history very wisely. It is another function of Forerunner 10 GPS will show your very own personal records and your past runs as well.The types of personal records are including Longest run, Fastest 5k, Fastest 10k, Fastest Mile etc. ​Garmin Forerunner is waterproof. it is safe from your sweat. now you can dive into your swimming pool after your run without worrying about your watch getting damaged. It is water-resistant up to a depth of 50 meters. The battery life is also very good. Once it is fully charged in GPS mode it can run for 5 hours. This will change your running experience completely. This has a plenty of features which will be very effective. You will know what you’re doing. If you take in too many calories in a meal with the help of this watch you will know how much you need to run to compensate that extra calorie. This watch also enables you to upgrade yourself as a runner. With the use of the virtual pacer, you can challenge yourself, push yourself harder, and test your limits. So don’t be late, grab your own Garmin Forerunner 10 GPS Watch and feel the change yourself. This will be a very wise investment.